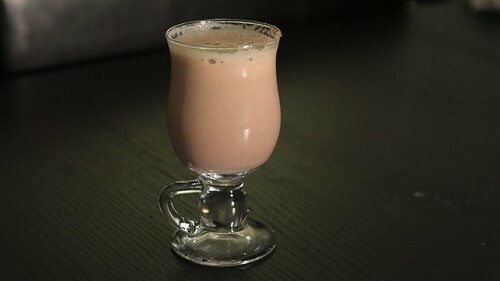 Today is apparently Brandy Alexander Day, the day we celebrate the early 20th-century cocktail made from a creamy mix of brandy, cognac, and creme de cacao. As our virtual cheers to you, check out this neat infographic about the drink and its history from "Hire the Barman." (notably, it misspells "preparation"—perhaps there were one too many Brandy Alexanders in there. :-). How deep into cocktails are you? 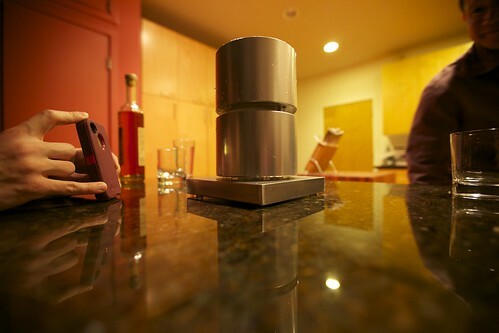 These ice presses have been on the market for awhile, but they've only just become less laughably expensive. You can now buy them online for a few hundred bucks, as opposed to a few thousand. They're made of big chunks of aluminum, so they dissipate heat alarmingly fast. In less than a minute, you get a beautiful orb. The handy-dandy tongs (included) pull out the ice. These spheres aren't just for looks, believe it or not. 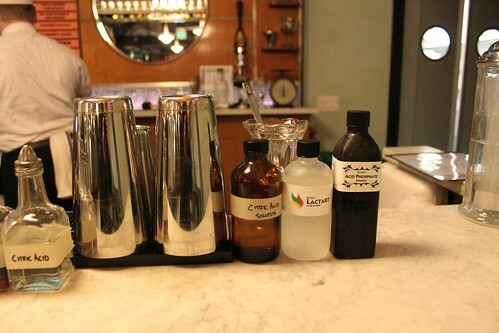 They keep your spirits colder while minimizing dilution, so you can even use them twice. Of course this is a ridiculous device. But, but, it is pretty cool. Man, the cold front really hit San Francisco hard last week. Temperatures dove down to the 30s and sent me diving for my gloves, scarves, and heavy coats. Luckily, one of my very favorite cold-day cocktails is still in town: Hot Buttered Rhum Cider at the gorgeous Slanted Door in the Ferry Building on the Bay. 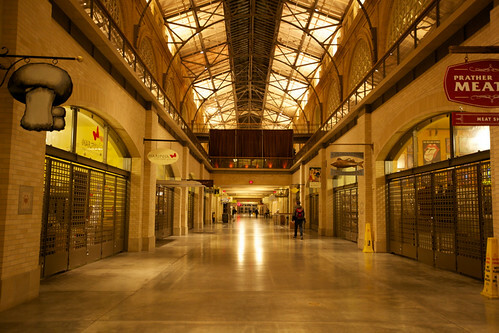 The Ferry Building was in full glory that night. It was empty, mostly—the cold had probably driven everyone away. 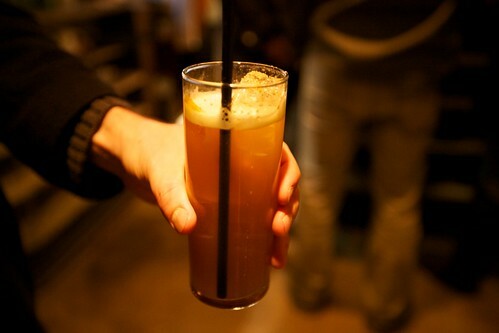 We sidled up to the bar, and I quickly ordered my Hot Buttered Rhum Cider. 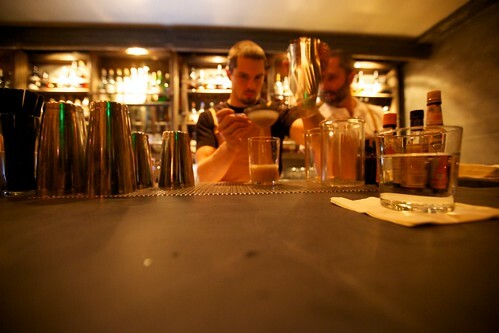 Jennifer, the bartender, slid the steaming drink across. 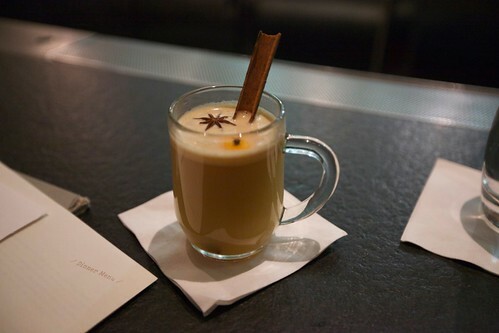 Straus compound butter, rhum, hot cider, with a cinnamon stick and clove? Oh, glory. I've become accustomed to finding the drink on the menu during Christmastime, and when holiday lights come out, I now look forward to warming my hands around a cup of the stuff. 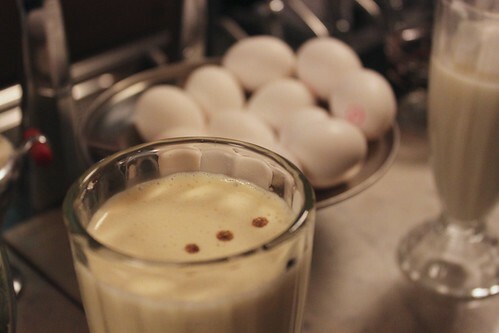 Given the cold night, I was so happy that the drink was still on the menu. It warms you up real quick. Josh had a Green Point, a Manhattan variation of rye, yellow chartreuse, sweet vermouth, angostura bitters, and orange bitters, which Jennifer just killed. The chartreuse adds an herbaceous quality to the classic. So delicious. 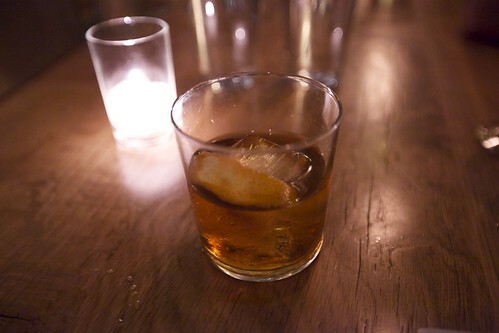 And then we ended the night with Capsaicin Rum and Honey—a warm riff on the old fashioned. Perfectly viscous over a large, pure, perfectly clear block of ice. Even Ricardo, one of the bar backs/bartenders, came over to admire the ice. "Now that's a good one," he said, smiling. He and his brothers help the Slanted Door create the ice during the day—difficult work that produces amazing ice that's cold, dense, and slower melting. We lifted the glass to peer at it in light, and it was so completely airless that we could barely even make out that it was there. 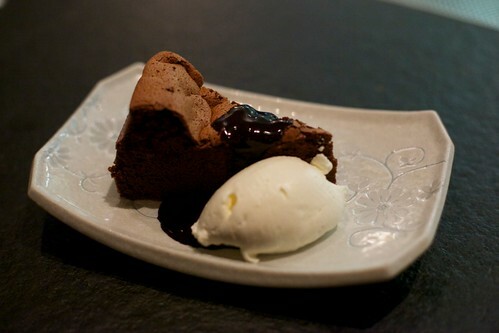 We had to keep our drinks company with something—so we decided to order a chocolate soufflé cake. And what a good idea that it was! It was soft, dense, and not too sweet. I suppose there is always a silver lining to these cold days! 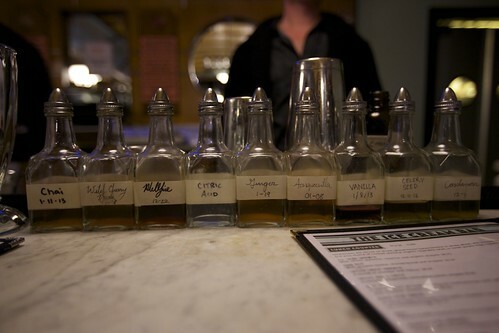 At Lolinda, nothing happens in moderation. If you order food, expect a huge chunk of meat to arrive at your table. 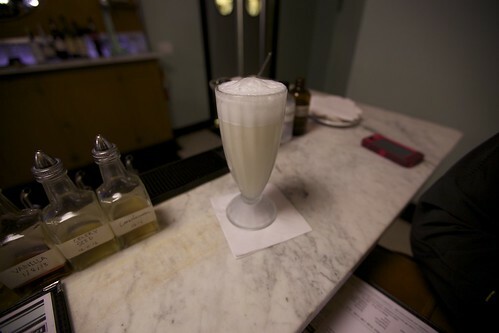 If you order a cocktail, expect to order at least three more––they're that good. 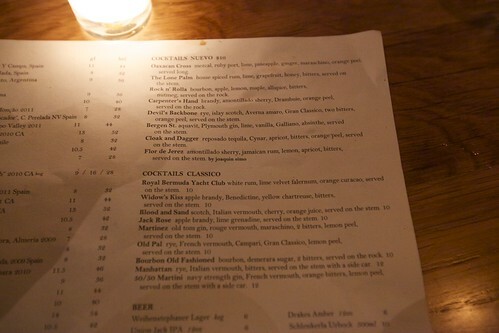 Recently, Chris Lane—who has previously been spotted at watering holes like Tradition, Wo Hing, and Heaven's Dog—took over as bar manager and incorporated some new drinks (or, in the case of the Devil's Backbone, old favorites) into the menu. 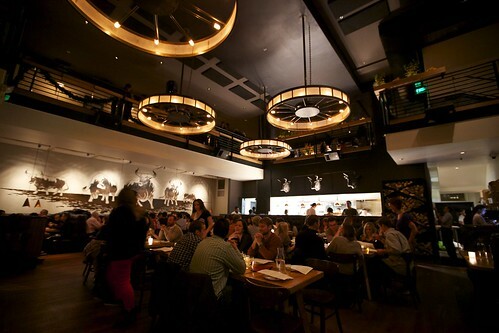 Lolinda is gorgeous—a great place for a spirited date night or party (in fact, the whole upstairs was reserved for a private party that night, so it is possible to do that). Noelle thinks it reminds her of a modern castle's banquet hall with the vaulted ceilings, long tables, and large, round chandelier-like lights. 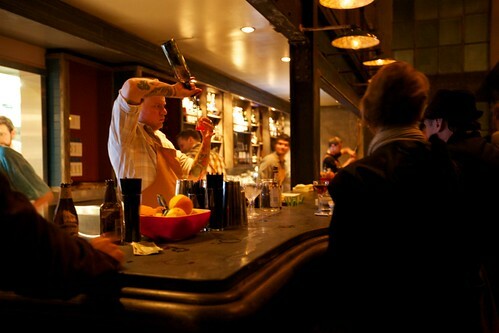 This weekend, some of us headed over to visit Chris Lane and enjoy some drinks. Chris was busy, but we got to meet a few new bartenders. 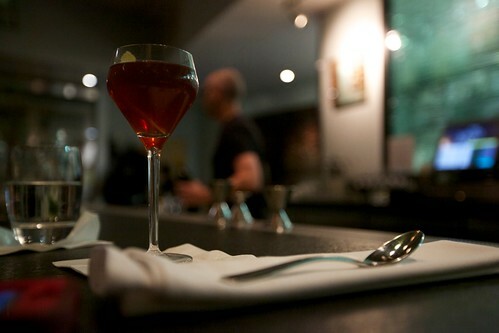 Oaxacan Cross – mezcal, port, lime, pineapple, ginger, maraschino. 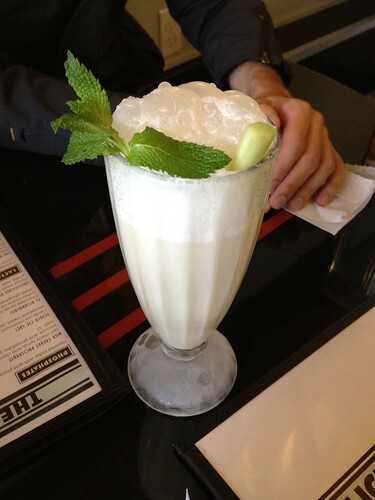 A mezcal-driven, citrusy cocktail. 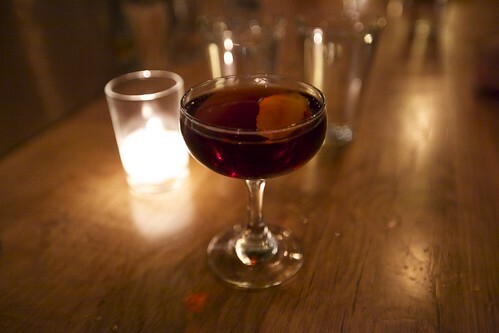 Cloak and Dagger – tequila, Cynar, apricot. I love bitter tequila drinks. This one knocks it out of the park. The abricot adds a nice bit of fruit on the finish. 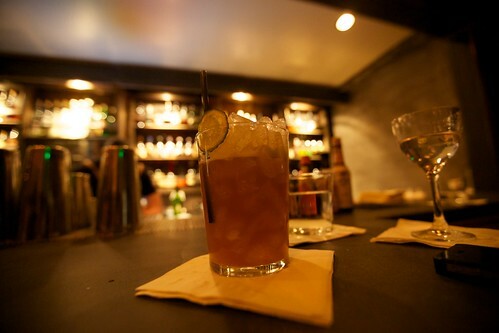 Lone Palm – house spiced rum, lime, grapefruit, honey, The rum, citrus, and honey balance together to make this drink refreshing and but still interesting and spicy. 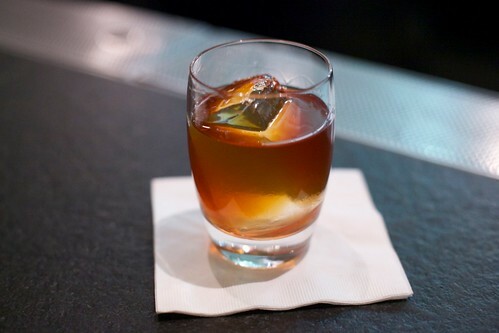 Devil's Backbone – rye, islay scotch, Averna, Gran Classico. 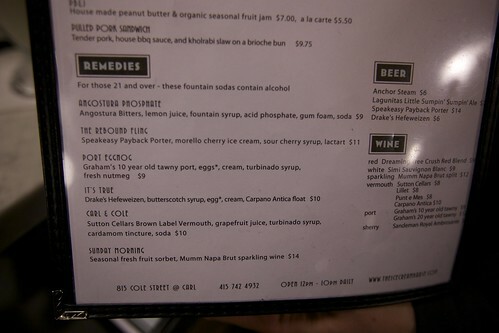 All the above drinks were delicious, but the Devil's Backbone was truly remarkable. 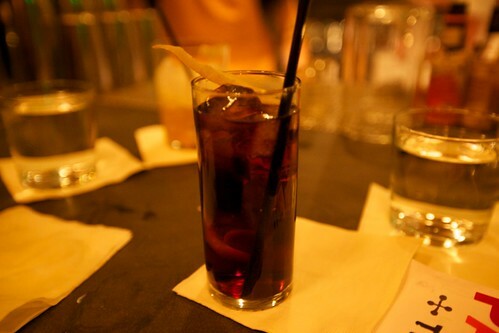 It's deep and rich, a slow drink with a complexity that will keep pulling you in to explore its flavors. If you'd like to make it down to Lolinda for yourself one day (which you should! 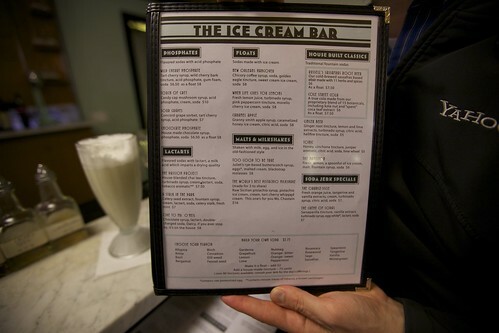 ), check out their wide ranging menu before you make it down. I used Mexican hot chocolate. 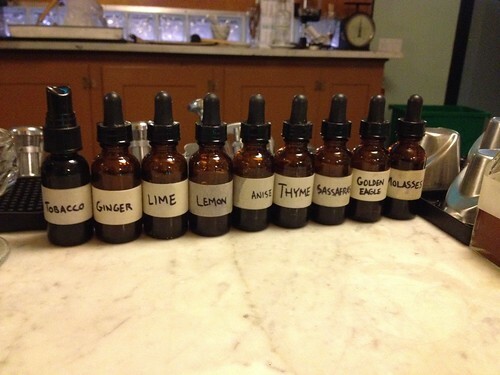 Add 3/4 to 1 oz of Green Chartreuse, garnish with nutmeg. Simple, easy, tasty. It might be because the bar project has been three years in the making (that’s four human babies). 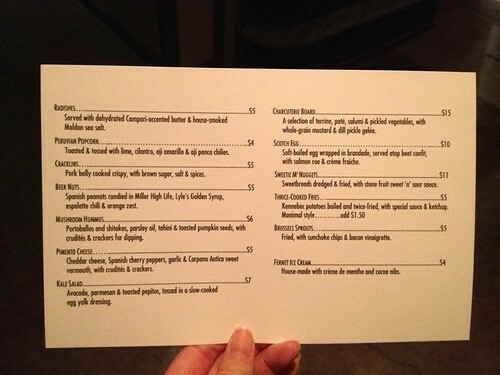 Or perhaps because the bar brings some heavy design swag, even integrating Pantone colors into the menu. 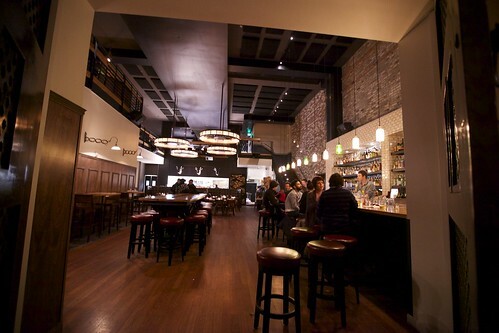 Or it could even be because the backers, the Bon Vivants, are among the darlings of the San Francisco bar scene. Whatever the case, Trick Dog has been one of the most anticipated bar openings this year—and it finally opened last week. So Josh and I went there earlier this week to check it out—it’s a cool place! 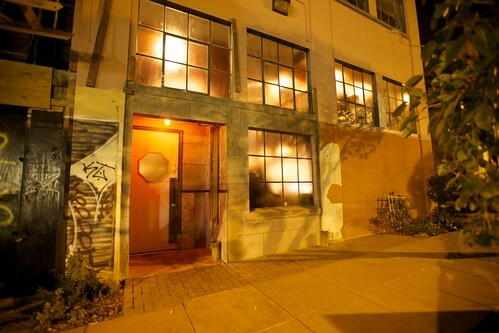 Nestled into the industrial border between Potrero Hill and the Mission, the two-storey spot attracted a small crowd of enthusiasts. Everything about the space is intentional—the latticed light bulbs, the stained floors, the elaborate light fixtures along the walls, and the namesake perched in an unassuming corner (a coin bank), to name a few. The bar offers a great addition to the small collection of watering holes in that part of town, like the Homestead and Dear Mom. It’s perfect for a lively nightcap (or starter!) before nearby Flour + Water, Central Kitchen, and Salumeria. Or a general night of food, friends, drinks, and fun. The outside of Trick Dog is clean and unassuming. Don't miss it! Inside, good times await. 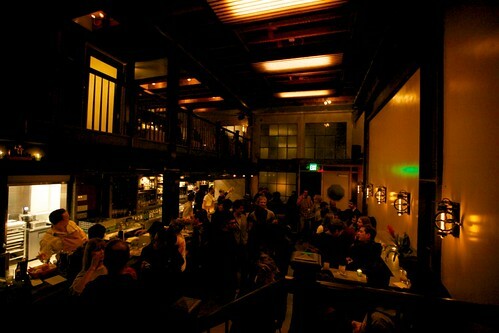 The bar—a bit brighter and emptier than usual, since I took this picture after last call. 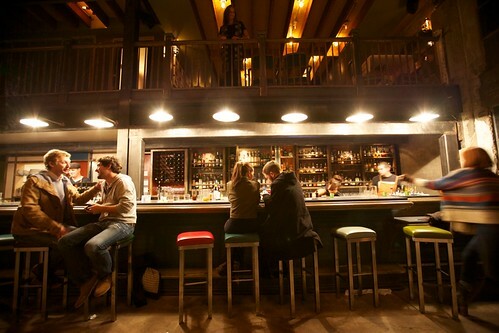 You can see the second floor of seating where you can sit at tables and eat above the bar. 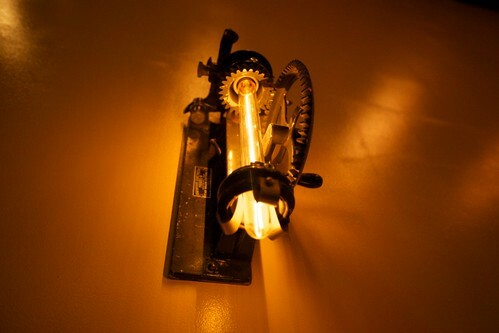 If you look closely, the design of the bar contains many details, like these wall lights. 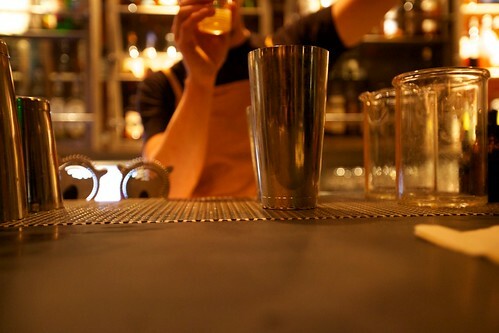 The bar staff measures drinks carefully with these neat custom beaker-like jiggers. There are also special beakers for stirring (see the vessel on the right)—a split from the Japanese Yarai mixing glasses that are so popular right now. 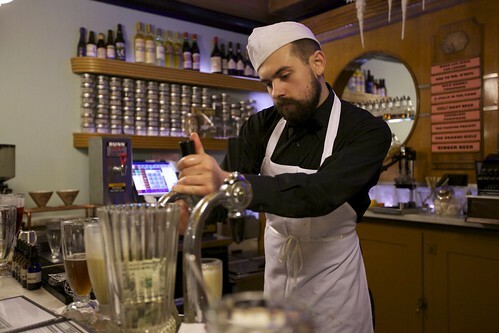 Peter makes drinks like a boss. What a pro! 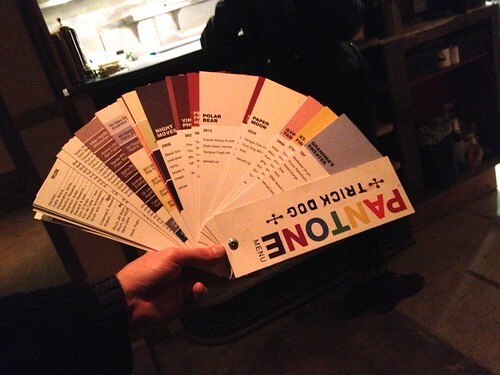 The drink menu at Trick Dog is designed like the classic Pantone color guide (the definitive folks for color and design), using the same fan booklet format. They even cite colors by number (which is how Pantone labels the colors) and then match it in the cocktail. 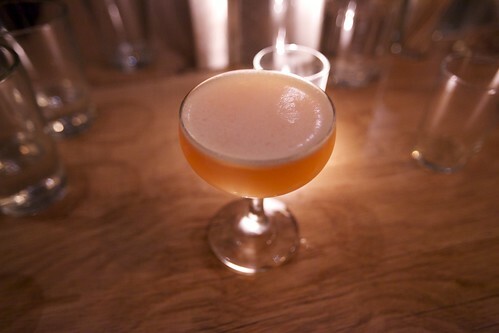 I tried the Gypsy Tan (aka orange/2808), which contains Rittenhouse 100 rye, Mandarine Napoleon orange liqueur, Fernet Blanca, ginger, lemon, Erdinger Weissbier, and nutmeg. 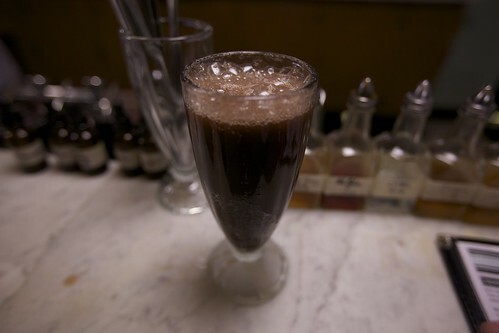 It's served long in a collins glass over ice. 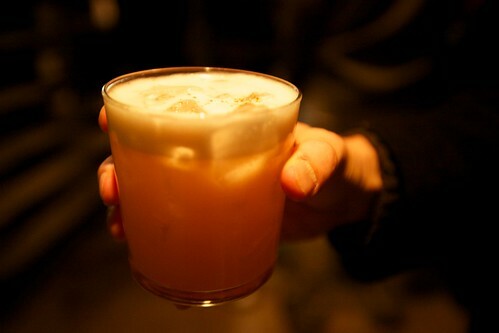 Josh tried the Baby Turtle (Ocho tequila, Campari, grapefruit, cinnamon, lime, and egg white). 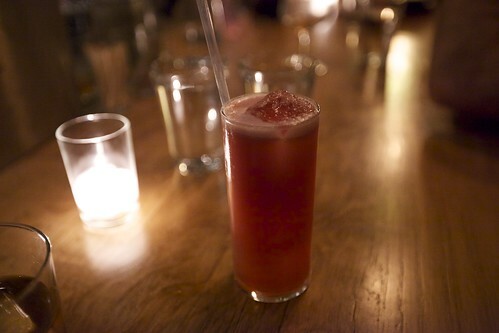 We also sampled the St Elmo's Fire — Denizen white rum, Amaro Averna, pineapple, coconut vinegar, all spice, and lime. 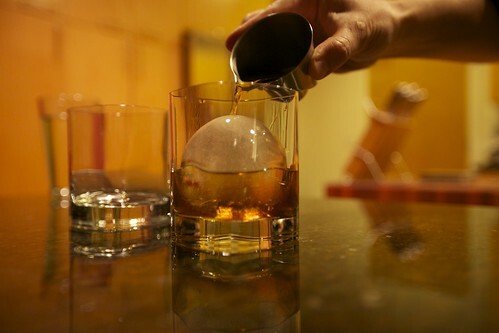 It's served in a old fashioned glass on the rocks. 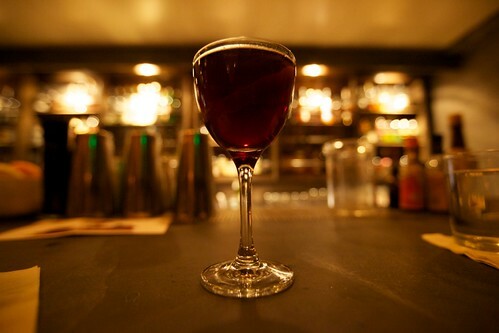 We finished off with a Witchwood (2803) — Torres ten-year brandy, Pampero Aniversario rum, Manzilla sherry, Pedro Ximenez sherry, Ron Miel honey rum, and Alhambra bitters. Served up. 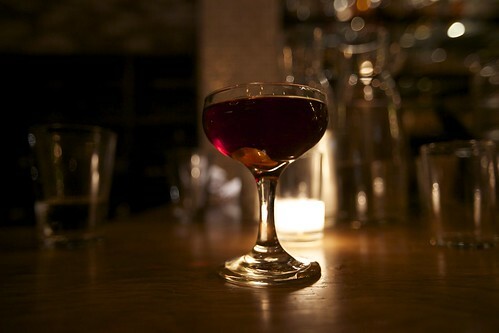 It's a great night cap for a cold evening—warm, dark, and rich, like cherries and stone fruit. 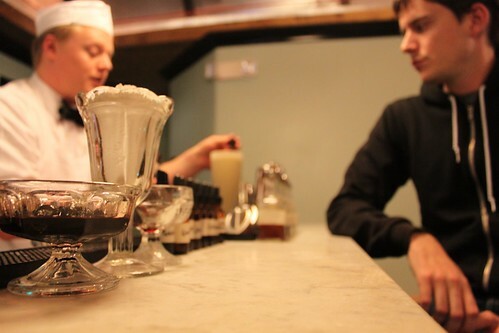 On a second research trip, I also got to try an Amaro and Moxie. Moxie is apparently one of the original sodas. It's much less syrupy and cloying than, say, a rum and Coke. A happy alternative. For the hungry, there is also food. 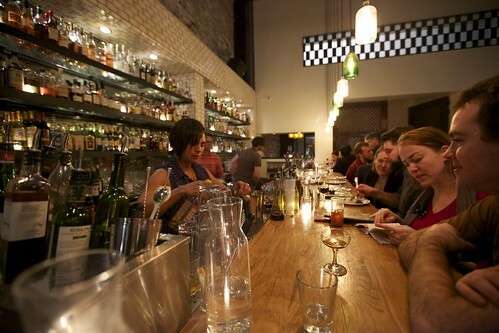 The front of the menu bears the bar's namesake—a coin box. The real thing actually sits in a corner above the bar. 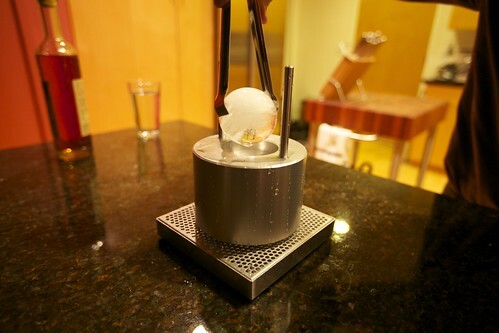 The food is not your typical bar food either. 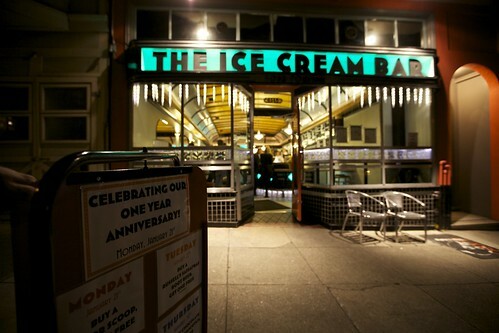 There are some unusual gems like the Sweetie McNuggets (sweetbreads dredged and fried) and the Fernet ice cream. 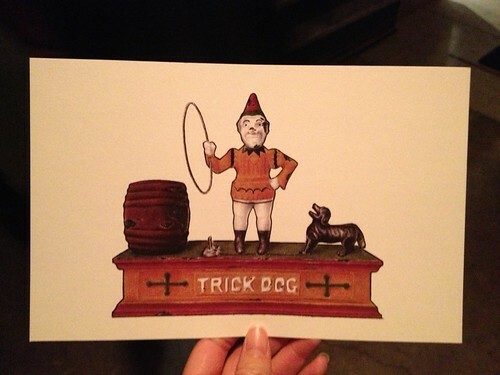 Three cheers for Trick Dog. For more pictures you can go to our Flickr.